Pamela Rybka always has her client’s back. Through honesty with every transaction and client education at each step, she will make your buying/selling process the best it can be. At 25 years old, Pamela Rybka started her own business as a computer programmer. Her attention to detail, organization, and passion for people combined to make her an expert everyone in North East Ohio wanted to hire. After 20 years of working with countless clients and businesses, Pamela left computer programming to start something new- real estate. 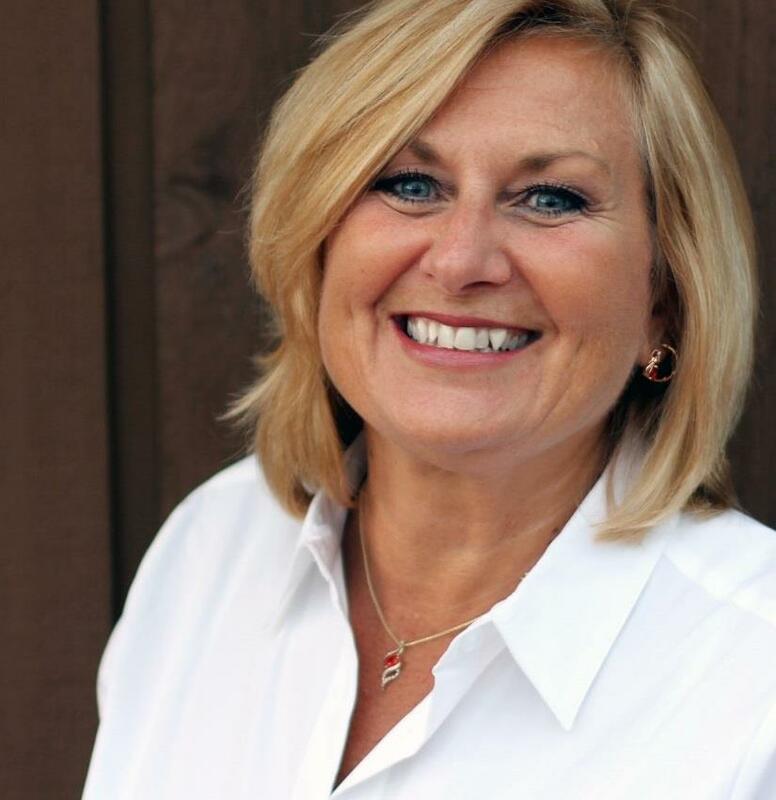 Ten years later, Pamela has become one of RE/MAX’s highest rated realtors and has hundreds of stories of happy families finding their perfect home right here in North East Ohio. Her same passion for people and organization turns every buyer into an expert and every client into a friend. Her warm laughter will put you at ease and her wise words will help you feel educated throughout the entire process. Pamela loves real estate because she is able to walk people through one of the greatest joys in life- home ownership. While putting in offers and going through morgate lenders doesn’t sound thrilling, with a competent realtor by your side, the usual anxiety and worry won’t pile on. Want to test this theory? Send Pamela a quick text to say hello (330-416-2193) and she will respond with the excitement, warmth, and wisdom you would want from a realtor. Pam lives in Hinckley with her husband Steve. They have two adult children Hannah and Steve, both living in the Akron area. The Rybkas attend The Chapel in Akron where Pam leads a Women’s Bible Study. She is also President of the Medina County Gideons Auxiliary and has volunteered at The Salvation Army and Oaks Family Center. At 25 years old, Pamela Rybka started her own business as a computer programmer. Her attention to detail, organization, and passion for people combined to make her an expert everyone in Northeast Ohio wanted to hire. After 20 years of working with countless clients and businesses, Pamela left computer programming to start something new- real estate. Ten years later, Pamela has become one of RE/MAX’s highest rated realtors and has hundreds of stories of happy families finding their perfect home right here in Northeast Ohio. Her same passion for people and organization turns every buyer into an expert and every client into a friend. Her warm laughter will put you at ease and her wise words will help you feel educated throughout the entire process. Just in the past 4 years, Pamela has sold over 160 houses. This level of experience means Pamela knows how to help you best! This isn’t Pamela’s first rodeo. From the foundation and basement quirks, to windows and bathrooms, she knows what to look for and how to leverage to get you the best deal! With over 70 reviews on Zillow, Pamela has consitently delivered above and beyond customer expectations. Pamela knows Northeast Ohio and leverages that knowledge to get you a house that matches your priorities. Listen to these happy clients! Here are some common questions about the buying and selling process. How much do I need to know in order to buy a house? When you hire a plumber you know and trust, there is no need for you to understand every little thing they do. In the same way, as your realtor it is my joy to take care of the major pieces and educate you at every step! I have to do lists, systems, handouts, and charts for every part of the home buying process. If you know what kind of house you’re looking to buy, I will take care of the rest with complete transparency and honest! It’s more than just the interest rate! When interviewing prospective mortgage brokers and lenders, you should ask them about their experience and qualifications. Additionally principal and interest payments on a mortgage aren’t the only cost of homeownership – you should also ask the mortgage lender about estimated closing costs, points, loan origination fees, transaction fees and any other costs. Ask what each fee includes and if you are unsure of something, ask the lender for an explanation. I have a few lenders I know and trust greatly, so if we work together I would be happy to introduce you to them! A title company makes sure that the title to a piece of real estate is legitimate and then issues title insurance for that property. Title insurance protects the lender and/or owner against lawsuits or claims against the property that result from disputes over the title. Title companies also often maintain escrow accounts — these contain the funds needed to close on the home — to ensure that this money is used only for settlement and closing costs, and may conduct the formal closing on the home. At the closing, a settlement agent from the title company will bring all the necessary documentation, explain it to the parties, collect closing costs and distribute monies. Finally, the title company will ensure that the new titles, deeds and other documents are filed with the appropriate entities. Pamela is always excited to help!